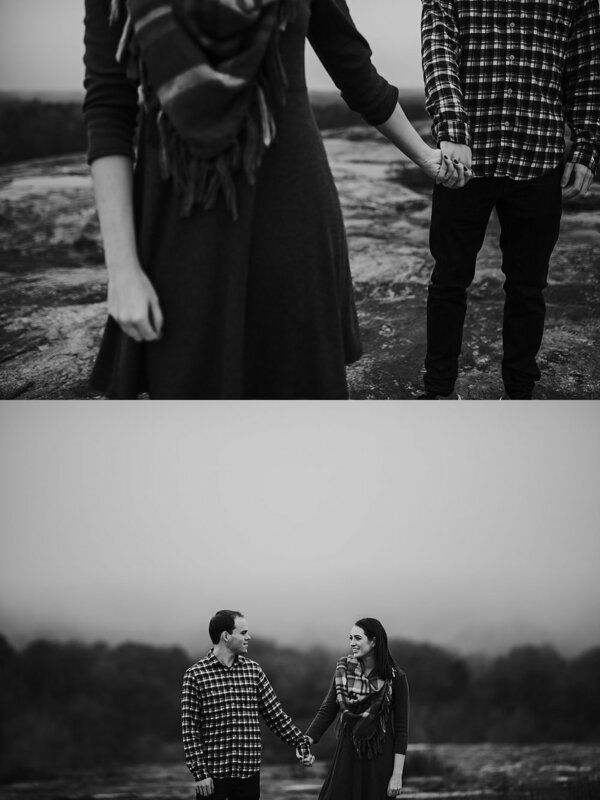 I am so behind on blogging this gorgeous and romantic engagement session. After a weekend of rain ruining our original location - super muddy trails - we decided on Arabia Mountain. 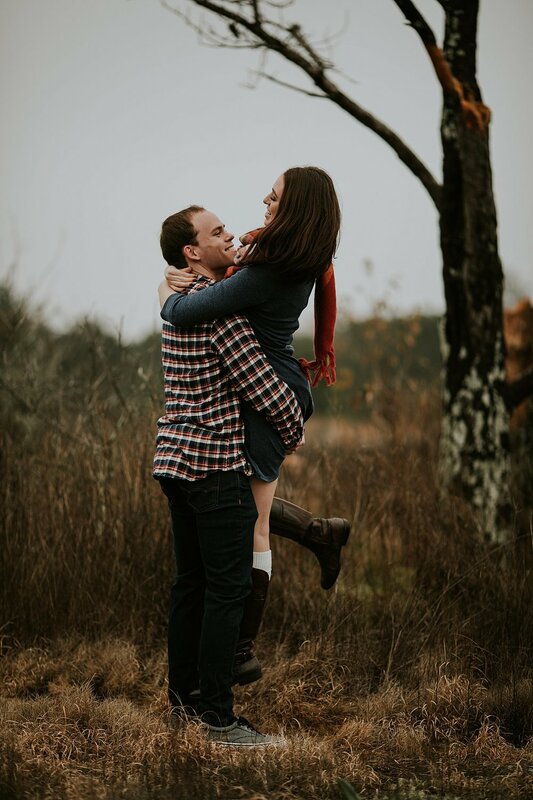 I have shot at this location numerous times, and my husband and I actually had our 4th anniversary pictures done here, but y’all….I have never ventured all the way to the top of the mountain. Let me just tell y’all. Holy cow. Now, being up on top of that mountain with a ton of fog, a little mist and some fall color still hanging on - because y’all know we don’t get our fall color until November around here - it was a photographers dream. 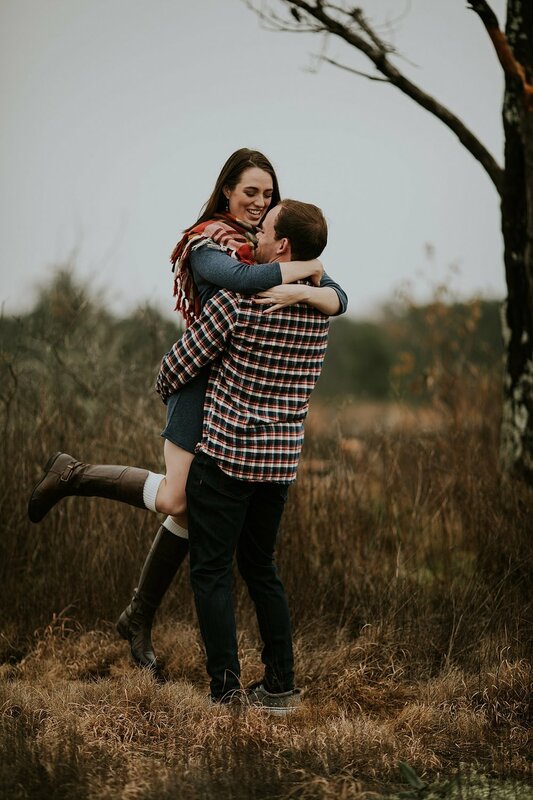 Patrick and Grace rocked their session, and I can not wait to photograph their wedding this summer at their dream venue.